Tech-infused, interactive modular street furniture and lighting system defining the future of Croydon. Lighting design by 18 Degrees. 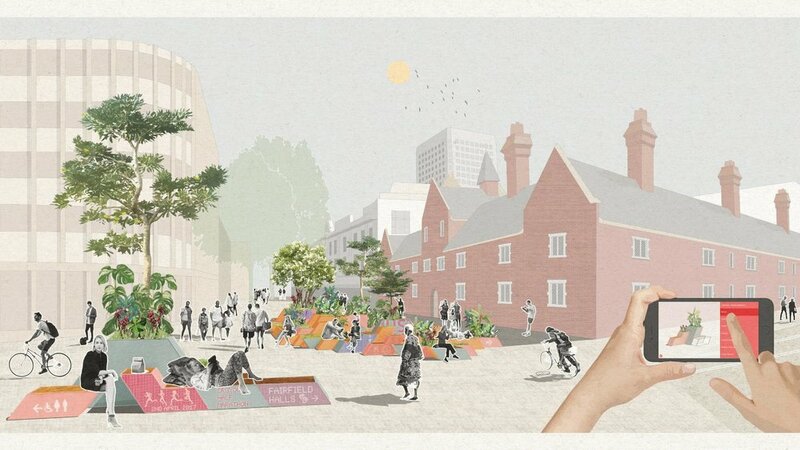 ‘Hi Croydon’ is our team’s response to the i-Street Croydon competition run by RIBA. Working alongside Denton Corker Marshall, McGregor Coxall and Wolfstrome, we devised a series of modular street furniture modules which use technology to test and determine the future role in Croydon’s public space. 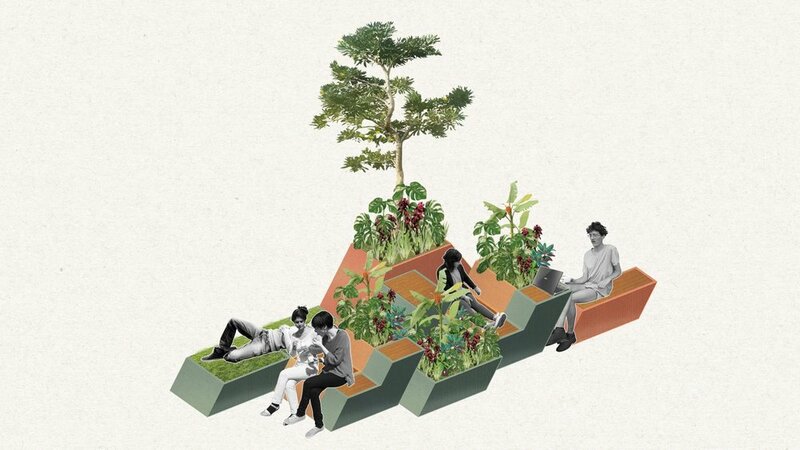 Hi Croydon is more than smart furniture, the system can take the role of green lungs by actively filtering air and engage with the community through interactive furniture that can be endlessly designed for events, dining, meeting spaces, work stations and play spaces. It can also interact directly with the public delivering live localised news, wayfinding and street notifications.